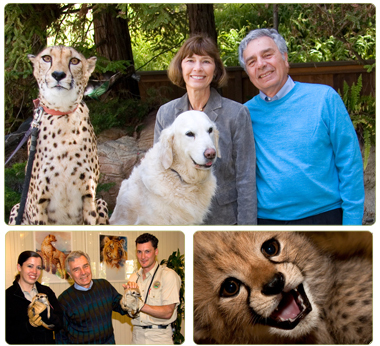 President’s Partners are a prestigious group of dedicated friends who are true partners in helping forge the Zoological Society’s future. They are dedicated to our vision of connecting people to wildlife and conservation, and play a major role in helping us maintain our legacy of excellence. An exclusive President's Partners event. Special early hours at the Zoo — In recognition of your contribution and participation in the President's Partners Club, you're invited to enter the Zoo early from 8 to 9 a.m. the second Saturday of each month. *Each President’s Partners member receives a personalized membership card for unlimited admission to the San Diego Zoo and Safari Park along with two accompanying guests, per cardholder, per visit. Please note that the estimated fair market value of President's Partners benefits is $383.